Autumn weather is just around the corner and after the amazingly long summer we don’t want you to get caught out by the change. The school holidays are the perfect time to tidy the bedrooms, clean out mouldy fruit from the school bags and check that all your school uniforms are ready for the next term. There’s no need to drag the kids around the shops trying on uniforms when we have over 1.3 million items in stock. At Made For School we understand that life is busy and quality time with the kids really is what matters so we’ve got a great sizing chart online so you see can how our garments fit before you buy. Of course not everything in life goes smoothly so our great returns policy means that you can return anything that doesn’t suit. Save time for fun these holidays, grab all your winter school uniforms online. 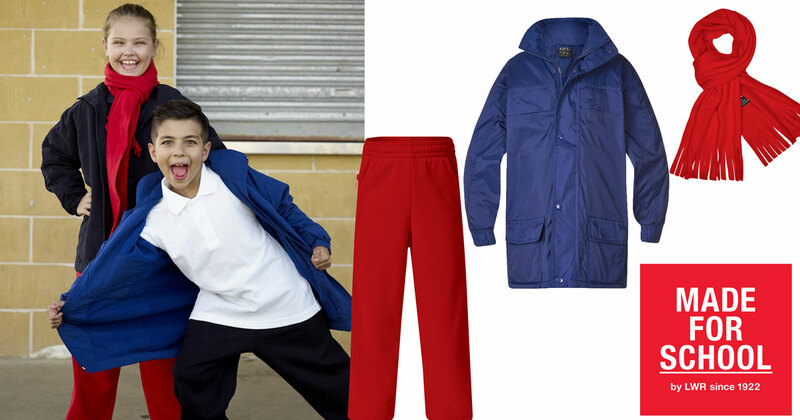 We’ve got a huge ranges of track pants, long pants, jumpers, vests and jackets, shirts, beanies, skivvies and more at Made For School.